Armed with Newland’s sixth-generation of UIMG technology, the scan engine can decode even poor quality barcodes with ease. The NLS-EM2096 excels at reading on-screen barcodes even when the screen is covered with protective film or set to its lowest brightness level. The NLS-EM2096 supports USB and TTL-232 interfaces to meet diverse customer needs. 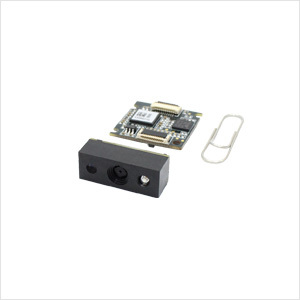 The decoder board and the imager can be separately mounted, which provides flexibility for integration and suits devices with small space inside. Accessories NLS-EVK Software development board equipped with a trigger button, beeper and RS-232 & USB interfaces.